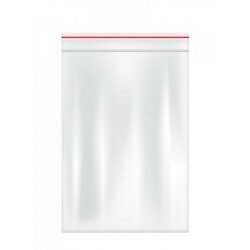 Offering you a complete choice of products which include grapes ziplock bags, slider bags, grapes ziplock bag, slider bag, zipper profile ldpe & pp 12mm slider and zipper profile ldpe & pp 14mm slider. 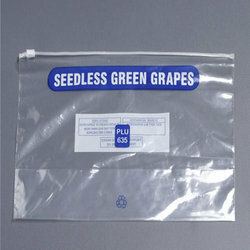 With a great eye for innovation, we put forth a huge rage of Grapes Ziplock Bags to our clients. 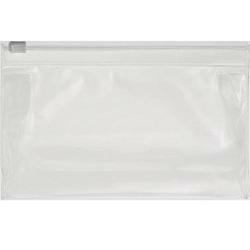 This bag is an optimum agent and is used for storing all kinds of seeds and other small nursery items. It provides effective protection against excessive moistness, insects, rodents and other elements of degeneration. These bags are in great demand in varied parts of the world, and are especially good for regions with tropical climate. We offer them at cost-effective prices. We offer Slider Zip of various sizes, thickness & shapes and are known for perfect sealing ability & excellent quality. These are acknowledged among clients for their reliability, versatile usage and cost-effectiveness. 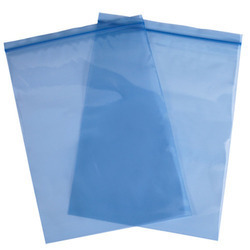 Looking for Grapes Ziplock Bags ?